Rev. Hagin explains what Jesus did through His wonderful birth, ministry, death, and resurrection. Because He soundly defeated the devil, we can be victors in life. 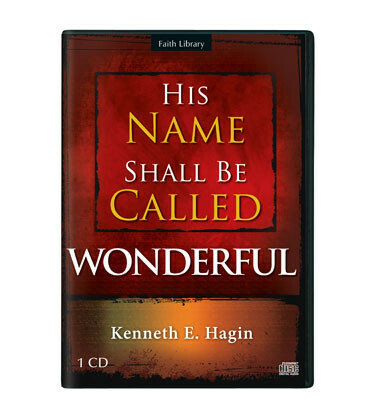 Our Wonderful Savior Kenneth E. Hagin looks at God’s great plan of redemption from beginning to end. He shows us all that Jesus accomplished through His miraculous birth, ministry, death, and resurrection. Because Jesus soundly defeated the devil, we can be victors in life. Because of our wonderful Savior, we can go forth in the authority and power of Christ. We can do the works that Jesus did as we wait for His glorious return.